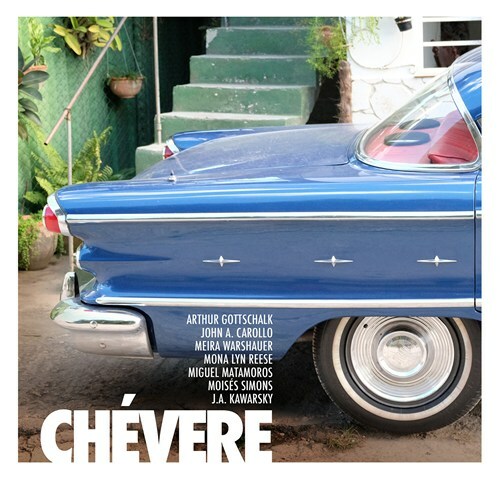 Ansonica Records’ new release CHEVERE richly explores and demonstrates the myriad cultural intersections that have recently become available to American and Cuban musicians. The album came together at a recording session that took place in Havana, Cuba in the month of January in 2017. The release presents a variety of collaborations between American, or American-based, composers and Cuban instrumentalists, arrangers, singers, and composers. 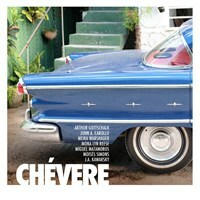 Some of these connections are relatively straightforward, while others are more nuanced and personal; yet, they all enrich the compositions on CHEVERE with the energy unique to the interaction of two powerful musical traditions. Arthur Gottschalk’s Imagenes de Cuba and John A. Carollo’s In Your Hour of Need represent the album’s most nuanced and personal connections to Cuba. Gottschalk’s work draws on his many trips to Cuba, referencing various elements of modern Cuban culture as observed in his travels. Carollo’s piece, on the other hand, gains its Cuban character directly from the input of CHEVERE’s producer in Havana, Dayron Ortega, who arranged this work for instrumental ensemble. Originally a piano etude, Carollo and Ortega collaboratively transform In Your Hour of Need into a brilliant and truly fascinating amalgam of Euro-American musical ideas and Cuban instrumentation and orchestration. Meira Warshauer’s plaintive choral works Oseh Shalom and Akhat Sha’alti represent the classic form of cultural exchange wherein Warshauer’s voice as a Jewish-American composer is brought to life by the renowned Cuban vocal ensemble Schola Coralina. If you like CHÉVERE, please tell your friends! You can easily share this page directly on Facebook, Twitter and via e-mail below.